Slathering oil all over your face sounds like a quick way to clog up all your pores, doesn’t it? When it comes to putting any oily substance on the delicate skin of your face – you need to carefully research these products first. After all, your face is the first thing people see and you don’t want an unwanted skin reaction to dominate their impression of you. Believe it or not – using natural argan oil on your face and skin is actually very beneficial and offers many perks – if you use it the RIGHT way. This single substance can do the job of several beauty products combined and can transform your skin completely in just a short amount of time. Argan oil moisturizes even the driest skin and penetrates deep below the top layer, giving you a healthy glow. This healing substance fights off acne while reducing fine lines and helps balance the natural oil production of your skin. 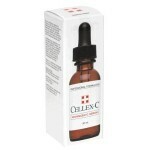 People who suffer from eczema or other skin problems may find relief from using this miracle treatment. Beyond skin benefits, argan oil is great for strengthening nails and giving hair a healthy, shiny boost, too. But before you jump online and find the cheapest bottle of argan oil you can find, don’t even think for a second that they’re all the same. Not all argan oil products have the same degree of purity, which can have serious consequences for your skin. Many cosmetic companies use additives and preservatives to dilute their products and make the argan oil stretch further. Don’t mistake low cost for quality as your skin will be the one paying the real price. I’ll let you know exactly how to make sure you’re getting pure, high-quality products. But first, let’s take a closer look at what this natural healing serum can do for you. Many people want clear skin that looks healthy and youthful. And sometimes, people have to deal with other skin conditions like acne, eczema or rosacea that’s visible on the face. Take the case of Sharon for example – she shared her story with me in an email recently. Sharon began experiencing rosacea on her cheeks and forehead after turning 31. The redness made her look constantly flushed and was a source of embarrassment for her. Over time, the redness would get bumpy and sometimes pimples would form. The bumps were very noticeable and made Sharon feel extremely self-conscious. She tried cleansers and creams, but none of them worked well to clear up her skin completely. Sharon began to dread leaving her home because she didn’t want others to see her face. Clearly it was no way for someone to have to live and her quality of life was suffering. A dermatologist-friend recommended she try argan oil on her face. Hoping for some relief, Sharon bought a low cost bottle of skin care cream with argan oil to try. Unfortunately, the brand she chose happened to have additives in it that made her problem worse! Sharon quickly stopped using the product. When her friend followed up with Sharon about any improvements, she was surprised to hear it wasn’t working. After carefully reading the label on the bottle, she found the ingredients that were responsible for making Sharon’s rosacea worse. Sharon’s friend suggested using pure argan oil instead and encouraged her to give it one more try. With hesitation, Sharon tried it…and was ecstatic with the results! The 100% pure argan oil gave her the skin she had been desperately wishing for. Not only that, her skin was softer and looked healthier too. Like Sharon, you can experience the wonderful results of using pure argan oil for your skin too. Many people who have tried it with negative effects were likely not using a product with pure quality, but something with additives in it. Make sure you’re not using a mixed cream or serum that will give you unwanted side effects. We’ll tell you how to make sure you’re buying the real thing and not a fake knock-off or expensive combo product. 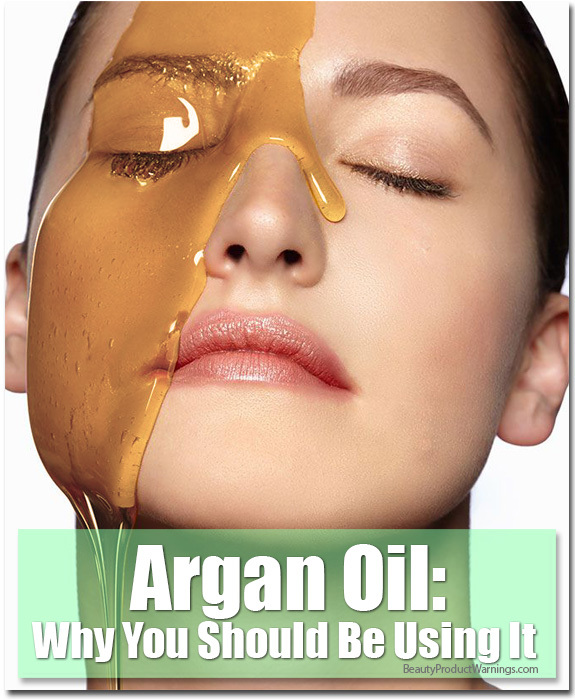 But first, here are some other benefits from using pure and natural argan oil . Argan oil is extracted from the Argania tree that now only grows in Morocco on UNESCO protected land. That means there is only a limited supply that is produced each year from these precious trees. Vitamin E – A known vitamin that blocks off free radicals and helps prevent signs of aging, containing 200% more vitamin E than olive oil. Essential fatty acids – Important for cell membrane health, increasing moisture retention and increasing elasticity of skin. Natural antioxidants – Antioxidants prevent free radical damage and protect your skin from external pollutants, chemicals, and the sun. Oleic and linoleic properties – These have anti-inflammatory effects and improve your skin’s ability to heal properly, leading to less scarring. 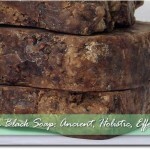 Polyphenols – Helps protect your skin and give you a warm, natural “glow”. I starting using argan oil on my face and couldn’t believe how quickly I started seeing a difference! This is definitely going to become a part of my regular beauty routine. I was pretty skeptical about putting oil on my face at first, but after seeing how my wrinkles are lightening up, I’m a believer! When you’re ready to try this conditioning serum for yourself, make sure you are choosing a product that is pure without any additives. How do you make sure you’re getting the real thing and not ordering a cheap knockoff or getting ripped off? Here’s where to buy REAL pure argan oil for better hair, skin, and nails. Want To Try Pure Argan Oil For Yourself? Make Sure You Get the Real Deal! Are you ready to start using the beauty secret Moroccan women have known about for thousands of years? Skinception’s 100% pure cold pressed argan oil contains absolutely no fillers and is the best you can find for your skin. The best part is your purchase from this company supports local berber women through the Fair Trade Cooperative. Your purchase helps support local communities and aids with the preservation of the Argania Spinosa tree. Skinception believes in this anti-aging and healing beauty treatment, backing it with their 90 day risk-free guarantee. Try a bottle at the fairest price available for the quality and see what it can do for you. For additional savings, purchase more than one bottle at a time. All bottles, no matter if they are used or not, are covered under their 90 day risk-free guarantee. 1 Do nothing and continue experiencing the effects of skin damage and aging. 2 Choose a lower grade product and hope it works without any adverse side effects. 3 Or you can buy 100% pure argan oil and enjoy all the benefits of this healing miracle product today. Experience the amazing benefits of argan oil and start enjoying softer, smoother, and more youthful skin today!